WordPress is by far your best option when it comes to transforming your idea into a fully-functional online business, largely because of the availability of lead magnet plugins. Using this CMS (content management system) you can easily start your own blog, portfolio website, business site or online store with ease. Since WordPress is a free resource, it’s used by so many entrepreneurs to give life to their projects. In fact, WordPress is used on 25% of the websites on the internet. This 2015 study published on MarketingLand points out that WordPress’ competitor – Joomla is only used on 3% of websites. Since 2011 WordPress usage has grown from 11% to 25% and besides the hard-working individuals who maintain this CMS, a lot of credit should be given to those who create plugins and themes for WordPress, allowing users to add features and customize their website. If you’re starting a new website it would be a smart move to choose WordPress. It gives you a lot of options to deliver your content to the world and allow your visitors to subscribe to it. You provide your audience quality content and they reward you by subscribing to your email list, clicking affiliate links or buying your products. With the help of wordpress lead magnet plugins, you can grow your email list and transform your blog into a cash flow machine. What Wordpress Lead Magnet Plugins to use to stand out? There are many WordPress list building plugins that help you with lead generation and lead generation templates, but that doesn’t mean you need to use all of them. Some are slowly dying since they don’t bring anything new to generate leads but others are seeing a steady growth in users thanks to discovering new ways to transform visitors into subscribers, buyers or clients. Just because a WordPress plugin has a lot of downloads, that doesn’t mean it’s the best option for you. Be sure to check out the recent activity and the support section on the WordPress plugin repository. 2016 is the year when you can’t just install a plugin and let it do the work for you. You need to find the right solution for your business so you can stand out of the crowd. Here are several wordpress lead magnet plugins that allow you to do just that. Icegram – All-in-one solution for lead generation. Even if WordPress is a lovely piece of software, that doesn’t mean you can install all the plugins you find online. Some of them don’t behave nicely when installed next to others so it’s better to look for all-in-one plugins. Icegram is a wordpress lead magnet plugin which provides you with a suite of features. This FREE plugin allows you to add so many lead magnets to your wordpress site that it makes it a real solution for 2016. Icegram provides you with action bars, popups, overlays, toast notifications, sidebars, interstitials and more. You can search their add-ons page to buy custom solutions or download the free ones. This lead magnet plugin allows you to see advanced statistics and gives you weekly updates about who visits your website and who subscribes using the lead magnet plugin. Knowing not only who subscribes to your email list but also who is visiting your site can give you valuable insight. You can find out what goes wrong or what’s that extra step you need to take to convince your visitors to subscribe. Even if it’s not a free plugin, LeadBoxer has a small monthly fee if you want to buy this plugin. It only costs you $9 per month for every user you want to add. If you’re a small business or freelancer, LeadBoxer can be the right choice for you. 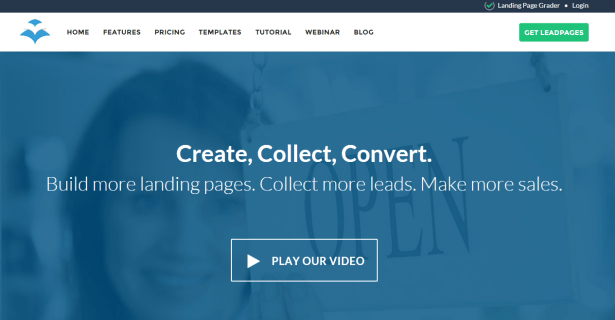 SumoMe – Lead generation and website growth tools. Just like Icegram, SumoMe provides you with a suite of free tools that can help you grow your email list on their own such as welcome mat, smart bar, scroll box and some sharing tools. If you want to get 100% of this plugin, buying the premium version is the way to go. SumoMe lead generation tools are something I’ve been using personally and recommend it for a small business website or a trending blog. You can integrate their lead magnets tools with most email marketing services so that’s a big plus. If you’re a growing company or a freelancer with a good income, you should really try LeadPages. 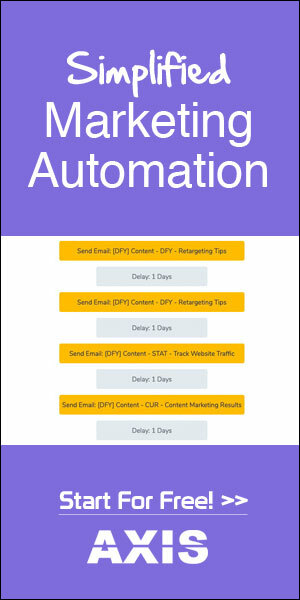 It’s not cheap but it provides you with a complete marketing automation system. You can easily create (with little to none html or css knowledge) custom lead pages and integrate them with almost all email marketing services and content management systems such as WordPress or Drupal. Starting at $25 per month and going up to $199 per month (paid annually) it’s not the cheapest solution out there but it’s surely the complete one. LeadPages integrates with Analytics and other statistic systems so you can split test, apply the best lead generation tactics and see the results. These are just a few WordPress lead magnet plugins you can use to stand out of the crowd in 2016. We will not stop here and we’ll research and test more similar plugins to give you the best recommendations. 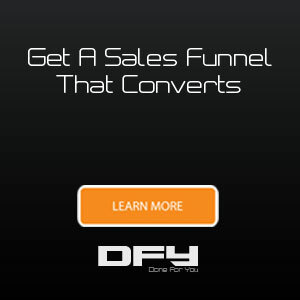 If you’d rather have a team dedicated to conversion and pre-qualifying buyers build your lead generation campaigns, make sure to fill out this short form telling us about your business! We’d be happy to hop on a phone call with you.